Microsoft has heavily criticized Google and its 90-days security disclosure policy after the firm publicly revealed two zero-day vulnerabilities in Microsoft’s Windows 8.1 operating system one after one just days before Microsoft planned to issue a patch to kill the bugs. But, seemingly Google don't give a damn thought. Once again, Google has publicly disclosed a new serious vulnerability in Windows 7 and Windows 8.1 before Microsoft has been able to produce a patch, leaving users of both the operating systems exposed to hackers until next month, when the company plans to deliver a fix. DISCLOSURE OF UNPATCHED BUGS, GOOD OR BAD? Google’s tight 90-days disclosure policy seems to be a good move for all software vendors to patch their products before they get exploited by the hackers and cybercriminals. But at the same time, disclosing all critical bugs along with its technical details in the widely used operating system like Windows 7 and 8 doesn’t appears to be a right decision either. In both cases, the only one to suffer is the innocent users. The revelation of the security flaw was also a part Google's Project Zero, an initiative that identifies security holes in different software and calls on companies to publicly disclose and patch bugs within 90 days of discovering them. 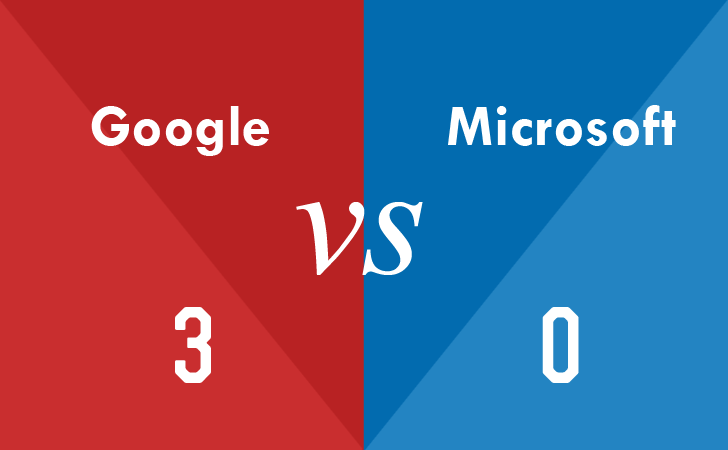 Chris Betz, senior director of the Microsoft Security Response Center, wrote that Google’s move "feels less like principles and more like a ‘gotcha’, with customers the one who may suffer as a result." He continues, "What’s right for Google is not always right for customers. We urge Google to make protection of customers our collective primary goal." This time the search engine giant has discovered a flaw in the CryptProtectMemory memory-encrypting function found within Windows 7 and 8.1 and presents in both 32- and 64-bit architectures, which can accidentally disclose sensitive information or allow a miscreant to bypass security checks, apparently. Google first notified Microsoft of the vulnerability in Windows 7 and 8.1 on October 17, 2014. Microsoft then confirmed the security issues on October 29 and said that its developers managed to reproduce the security hole. The patch for the vulnerability is scheduled for Feb. 10, next Patch Tuesday. The vulnerability was found by James Forshaw, who also discovered a "privilege elevation flaw" in Windows 8.1, which was disclosed earlier this week and drew strong criticism from Microsoft. The newly discovered bug actually resides in the CNG.sys implementation, which failed to run proper token checks. "The issue is the implementation in CNG.sys doesn't check the impersonation level of the token when capturing the logon session ID (using SeQueryAuthenticationIdToken) so a normal user can impersonate at Identification level and decrypt or encrypt data for that logon session," James Forshaw says in the post disclosing the vulnerability. "This behaviour of course might be design; however, not having been party to the design, it's hard to tell." This is third time in less than a month when the Google’s Project Zero released details of the vulnerability in Microsoft’s operating system, following its 90-day public disclosure deadline policy. Few days ago, Google released details of a new privilege escalation bug in Microsoft's Windows 8.1 operating system just two days before Microsoft planned to patch the bug.